One of the exciting elements in a weed watcher’s life is the threat of discovery. 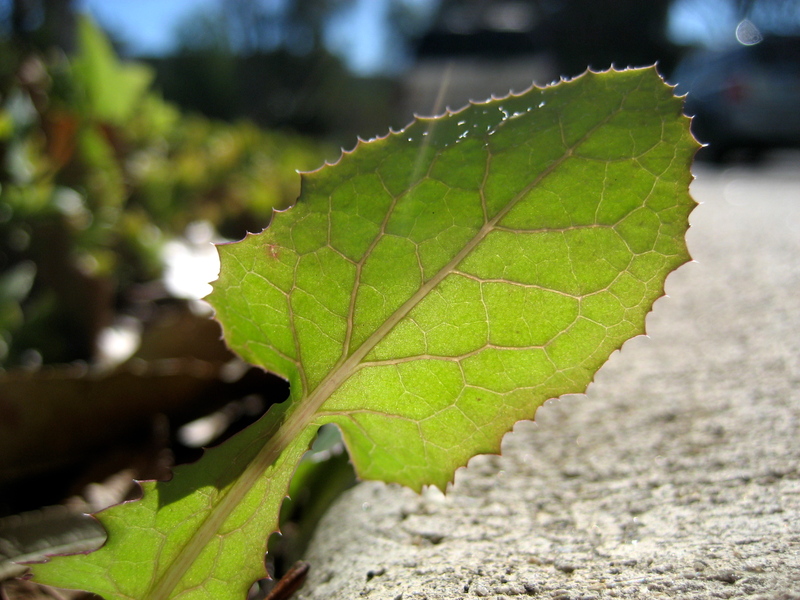 Weeds strive to survive innocuously, under the radar, thriving due to their seeming insignificance. The threat of extermination is ever present, and increases exponentially on the days when the gardeners come. There is a short timeline for weed life and observation. Today the gardeners came to the workplace, and this weed is nevermore. 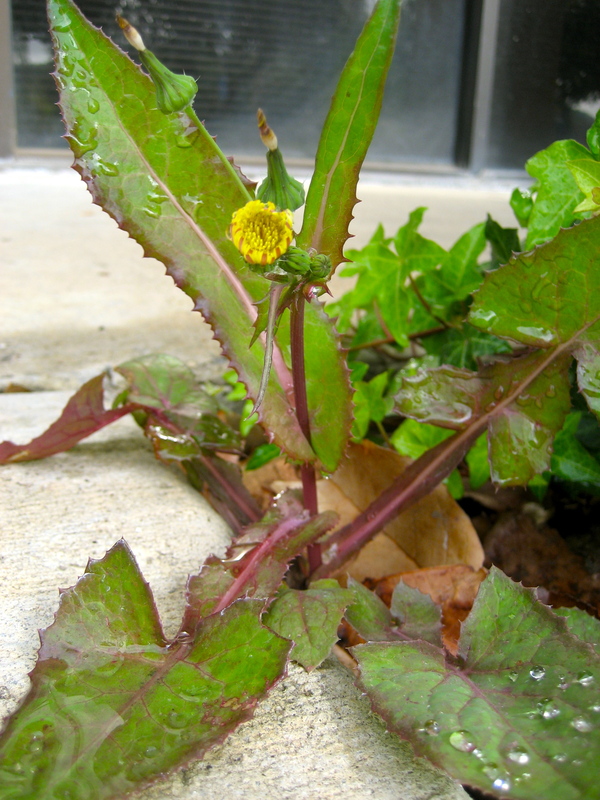 This weed waved its leaf at the sunshine in a posting on January 5, 2012, but having departed this world a few hours agao, we bid it adieu. You did good, weed.